In Health and Physical Education, students learn how to enhance their own and others’ health, safety, wellbeing and physical activity participation in varied and changing contexts. Pre-Primary to Year six students participate in Physical Education as a specialist learning area with Mrs Rona Gartner. Students also do fitness and other physical education sessions with their class teachers. In the early primary years the focus is on Fundamental Movement skills. In middle and upper primary classes fundamental game skills are taught. 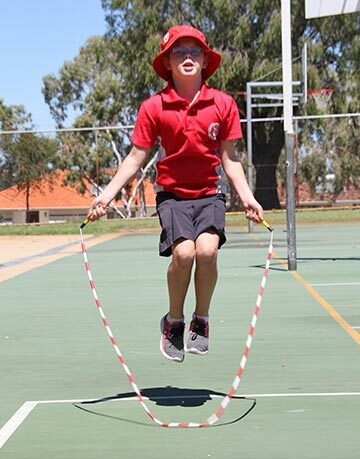 Spearwood Primary School participates in a variety of sport clinics with a number of different sporting associations visiting the school to provide free skills sessions to develop interest in a variety of sporting disciplines. All students from PP – 6 participate in DET funded, in-term swimming lessons which develop water safety and skills critical in our climate and water oriented lifestyles. Edu dance. Edu dance is a creative dance program designed for Primary school students developed in Perth, Western Australia. It provides all primary school age children with the opportunity to be part of a fun and energetic dance program within their own school community. In 2017 the school winter Carnival teams won trophies in Soccer and Netball and the hockey team played very well. Our soccer team was made up of many year four and five students so we are anticipating another good year in 2018. 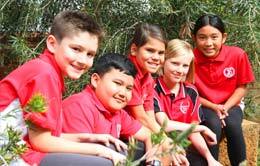 Spearwood Primary School students are always well-presented, perform competitively and display outstanding team skills and good sportsmanship.